MRW’s 2016 National Recycling Awards have been celebrated in style at the London’s Hilton on Park Lane. Hundreds of guests were entertained by former England rugby star Kyran Bracken, who hosted the event and oversaw the presentation of trophies to the winners of 21 categories up for grabs. The first winner on the night was Siltbuster in the Equipment Innovation category. Other winners included Reconomy, Winnow, Rochdale Borough Council (in two categories), Dorset Waste Partnership, Network Rail and Geneco. 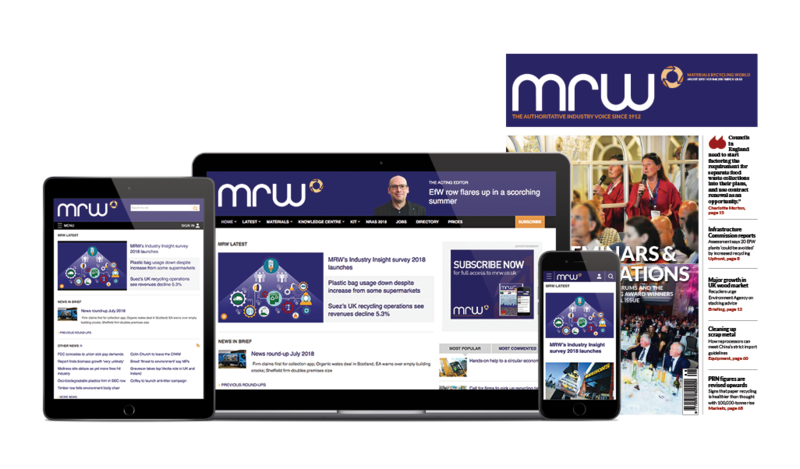 MRW editor Robin Latchem said: “The referendum result may have created all sorts of uncertainty but one thing’s for sure: the very best our industry has to offer was celebrated. The Editor’s Award went to Steve Lee, chief executive of the Chartered Institution of Wastes Management, who stands down later this year. After the event, Latchem said he could not think of anyone more deserving. “Steve has played a key role in the industry during the past 13 years and led from the front with charisma and enthusiasm in equal measure. It was typically modest of him in his acceptance speech at the awards that he should praise colleagues. The sponsors of the event were Cummins, RWM and Hadfield Wood Recyclers, whose group business development director is pictured below. Supporters were On-Pack Recycling Label and XPO Solutions, while Pelican Communications sponsored this year’s trophies. A collection for the Prince’s Trust raised £3,900 which organisers said was a remarkable figure and they praised the guests for their generosity.